Rick Lee (Radio and Television - Radio ’99) considers himself among NAIT’s most grateful alumni. 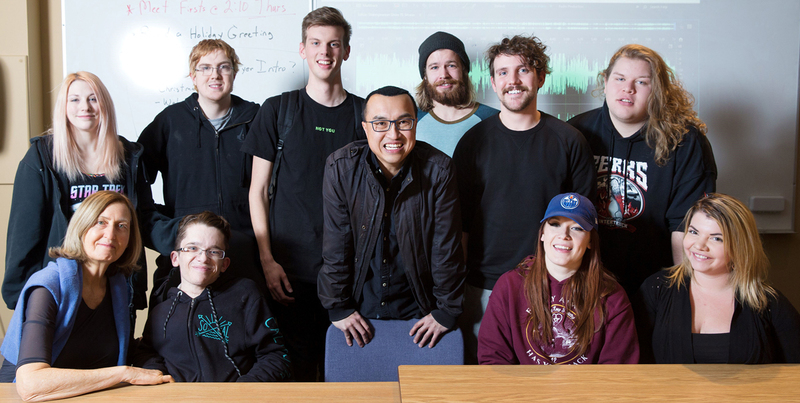 “NAIT gave me a chance and a foot in the door,” says Lee, who dreamt of becoming a radio announcer since he was in Grade 4. And once in the program, instructors encouraged him every step of the way. “I learned about skills I didn’t know I had, and I didn’t take anything for granted,” says the self-described “keener”. Lee put an enormous amount of work into his assignments and did more than was expected. And the more that work was recognized, the more his confidence, drive and passion for getting into the business grew. After graduating, it didn’t take Lee long to establish his career. Fresh out of school, Rick worked for POWER 107 in Calgary, then Z95.3 in Vancouver. He worked for stations across western Canada, including Rogers Media, Hot 103 and OK Radio Zone 91.3 both in Victoria. In 2005, he returned to Alberta as an on-air personality for Sonic 102.9 in Edmonton before returning to B.C. to work at Jack 96.9 in Vancouver. Today, he’s taking on another challenge: for the first time, he’s been given the opportunity to host a morning show in Red Deer, launching Harvard Broadcasting’s X 100.7, an alternative rock station. 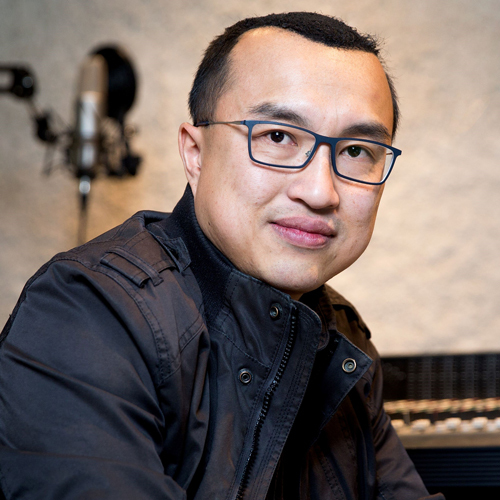 At a time when online podcasting and streaming applications like Spotify and Apple Music are changing how we listen to music, Lee says radio stations are trying to respond and adapt. Some are succeeding and some are not. That’s why he’s made a point of staying ahead of the game by exploring new opportunities with broadcasters across the country. But while he spends a great deal of time looking ahead, trying to anticipate how the industry is changing and how to adapt, he’s also reflecting back to a time when he lived on Edmonton’s 118th Avenue and counted his pennies. Lee didn’t have a lot of money during those school years. And that’s his motivation for supporting students today. “Students are stressed out enough, without having to worry about money,” says Lee, who donated his first gift to scholarships in 2010. Since then, 7 radio and television arts students have received scholarships. He’s given back in other ways, as well: In 2014, he was honoured to host the polytechnic’s first-ever scholarships and bursaries celebration. In May, he hopes to attend Radio and Television program’s 50-year anniversary. NAIT is proud to celebrate the success of Essential: The NAIT Campaign. Thanks to thousands of donors, we raised more than $100 million for student success, applied research and campus development. In appreciation, NAIT is sharing 100 reasons how donors are having an essential effect on our campus and the community. nait.ca/EssentialEffect. Radio personality helps students in program where he started his career. Morgan Bosch proudly serves as a role model for young women in trades. Aaron Taves credits NAIT and industry donors for his world-class performance at WorldSkills in Abu Dhabi. Create your own Essential Effect by donating to NAIT today. When you give to NAIT, you can be confident that your donations are working hard for our students and our community.